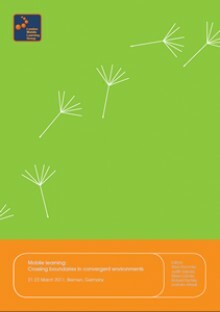 Mobile learning: Strategies for planning and implementing learning with mobile devices in secondary school contexts. As the history of mobile learning, which extends to more than a decade by now, has taught us, banning digital mobile devices such as mobile phones, tablets, mp3 player etc. from classrooms and school yards is not the only option to deal with these new technologies in school contexts. In fact, in order to make use of the potentials inherent in the use of technologies which originate in learners’ everyday lifeworlds and that are originally designed for entertainment, communication and networking, it is necessary to scrutinise opportunities and the learning experience that the use of mobile technologies offer to learners. In this chapter we critically discuss both aspects and aim to build a bridge between learners’ media use in everyday life and school learning with mobile devices. Seipold, Judith; Pachler, Norbert; Bachmair, Ben; Döbeli-Honegger, Beat (2014): Mobile learning: Strategies for planning and implementing learning with mobile devices in secondary school contexts. In: Leask, Marilyn; Pachler, Norbert (eds. ): Learning to teach using ICT in the Secondary School. A companion to school experience. 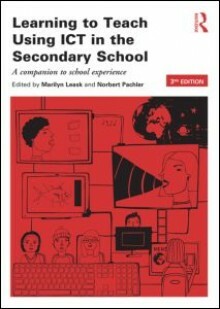 3rd edition, London: Routledge, pp. 185-204. ISBN: 978-0-415-51652-5. Today in the afternoon we published the book of abstracts of the ‘Mobile learning: Crossing boundaries in convergent environments’ Conference. The file is available as download from the LMLG website.